Credit Suisse analyst Douglas Harter maintained a Hold rating on Two Harbors (TWO) on February 6 and set a price target of $14. The company’s shares closed yesterday at $14.15. According to TipRanks.com, Harter is a 4-star analyst with an average return of 5.5% and a 61.0% success rate. Harter covers the Financial sector, focusing on stocks such as Bain Capital Specialty Finance Inc, Chimera Investment Corp, and New Residential Inv. The word on The Street in general, suggests a Moderate Buy analyst consensus rating for Two Harbors with a $15 average price target. The company has a one-year high of $16.27 and a one-year low of $12.63. 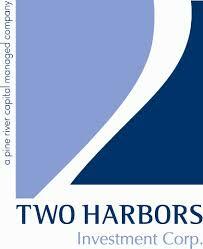 Currently, Two Harbors has an average volume of 2.09M. Based on the recent corporate insider activity of 13 insiders, corporate insider sentiment is neutral on the stock. Two Harbors Investment Corp. is a real estate investment trust, which invests in residential mortgage-backed securities, residential mortgage loans and other financial assets. Its objective is to provide risk-adjusted returns to its stockholders over the long-term, primarily through dividends and secondarily through capital appreciation.